The MR Direct 3322OL stainless steel sink offers both versatility and practicality. Constructed of heavy-duty, 16-gauge steel, this utility sink is designed with 90° corners which open up the sink for maximum interior space. With the left-hand basin three inches wider than the right, chores can be divided proportionately, and a comfortable depth of nearly ten inches allows the 3322OL to handle oversize cookware. Sound-dampening pads reduce noise, insulation prevents condensation, and offset drains create extra upfront room under the countertop. 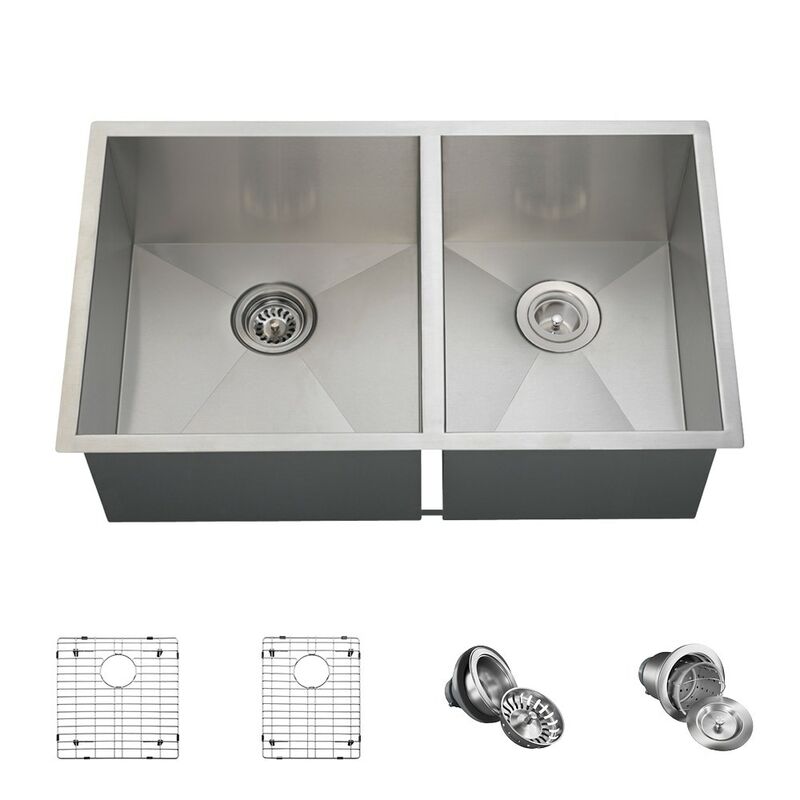 This ensemble includes two custom-fitted grids tailored to keep items off of the basin bottoms, and both a standard and basket strainer to catch scrap materials.